Kindle Fire – Can You Grill It? If you're familiar with Blendtec's "will it blend" series of viral commercials then you might be interested on this clip. Over the past few weeks Pork Barrel BBQ has been posting their own version of the Will it Blend videos. This company makes BBQ sauce, so it shouldn't surprise you to find out that they set the devices on hot grill and watch them catch fire. 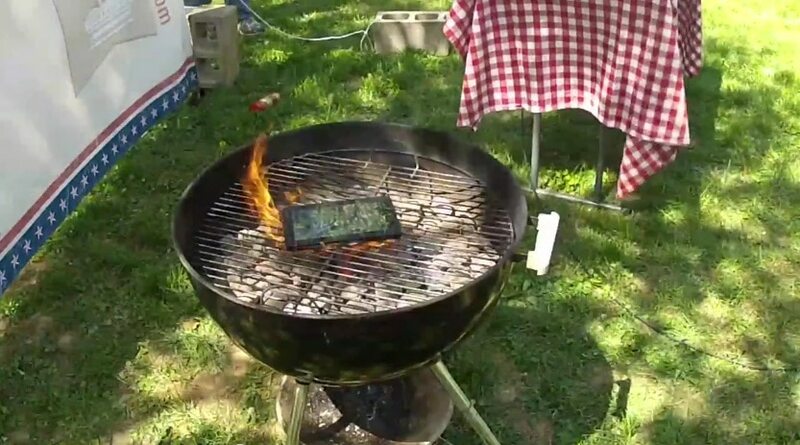 And today they grilled the Kindle Fire. You can watch the video if you like, but I didn't find it all that entertaining. The video as a whole is boring, which is a surprise considering the fact I like the blender ones. Perhaps the difference is with the blender I get to watch little bits fly off, while in this video the KF just lay there as it combusted. The blender ones are good too when the smoke starts … then the heap of crud he tips out on the bench!